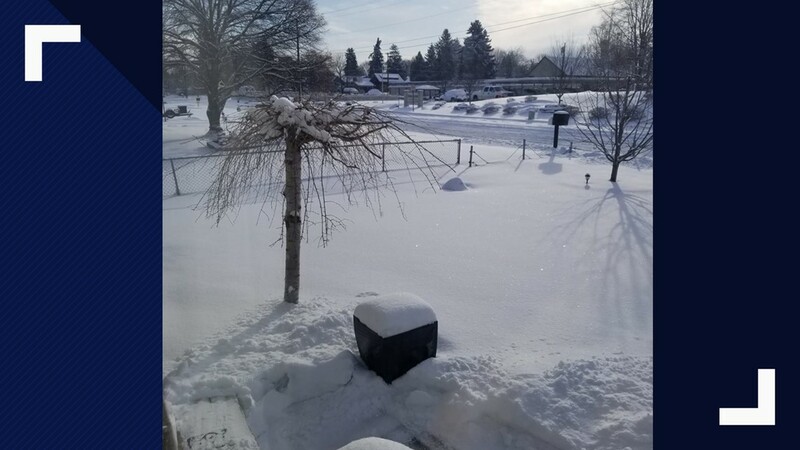 A recap of KREM coverage of the February snowstorm so far. 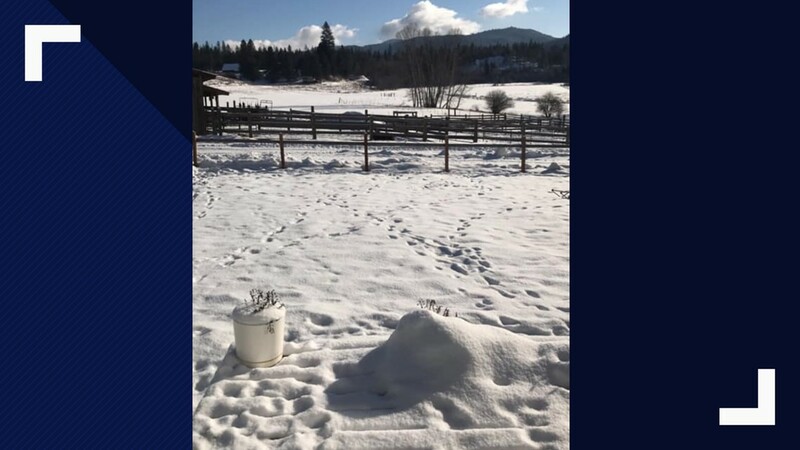 SPOKANE, Wash. — The KREM news team has been covering hazardous conditions caused by two separate winter storms that have been hitting Washington and North Idaho since Feb. 8. 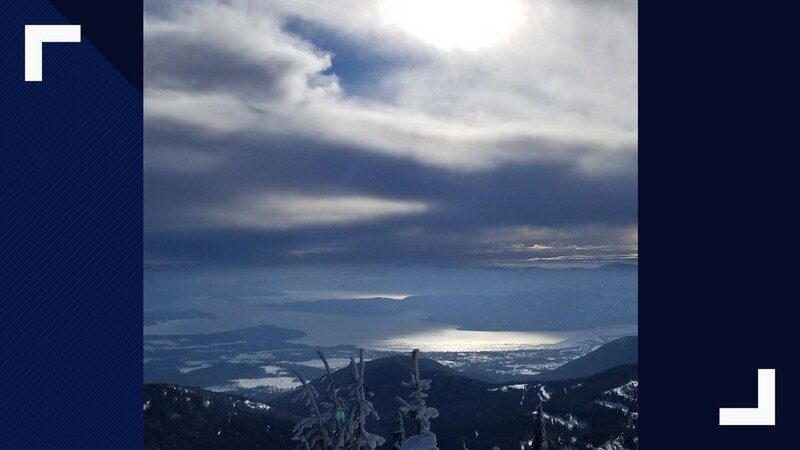 This story will continue to be updated with additional reporting as even more snow is expected to hit the Inland Northwest Monday night and into the week. 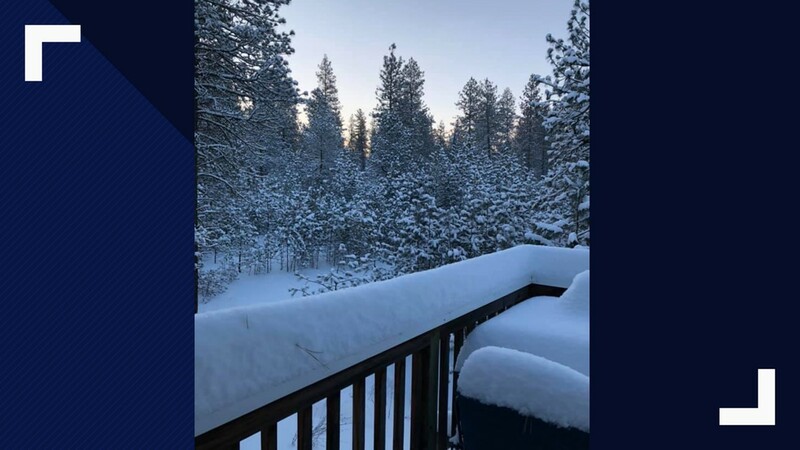 KREM morning weather anchor Evan Noorani said Spokane could expect two to three inches of snow Friday into Saturday afternoon, while Couer d'Alene expected a little more with three to four inches. 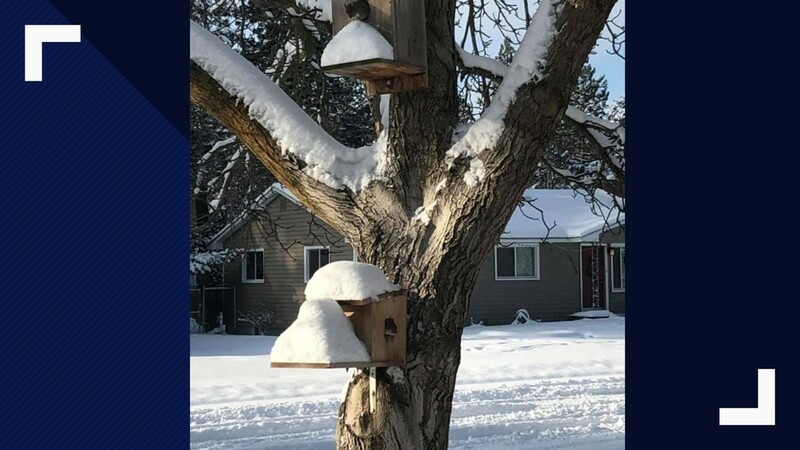 The snow was light and fluffy, with KREM chief meteorologist Tom Sherry saying that three to six inches could fall from Friday night into Sunday in addition to the accumulations from Friday afternoon. 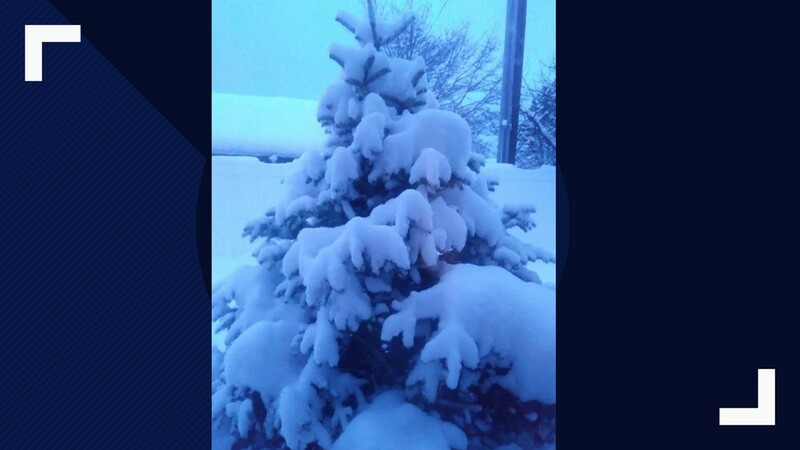 Wenatchee had the highest accumulation projected, with a total of 12 to 18 inches. 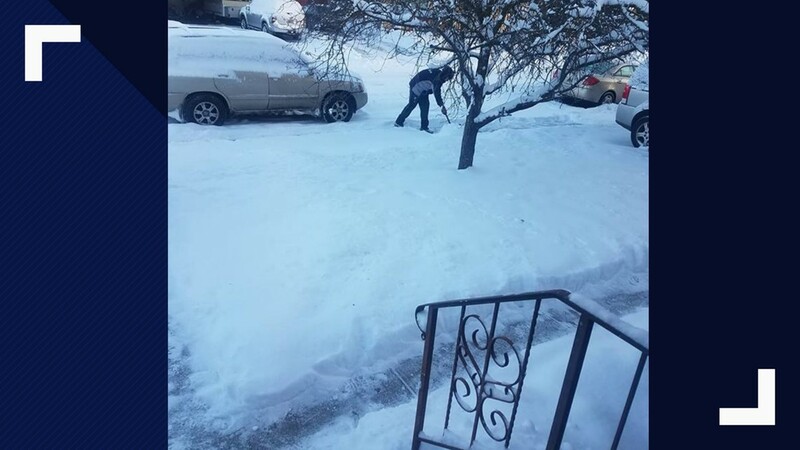 The snow was light enough that one viewer cleared his car off with a leaf blower Friday afternoon. 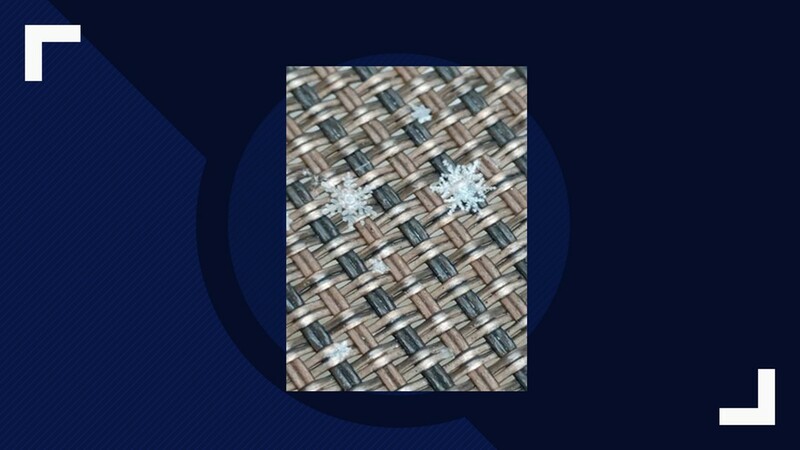 The snow began to fall heavily again Friday night, with high sustained winds accompanying the flakes. 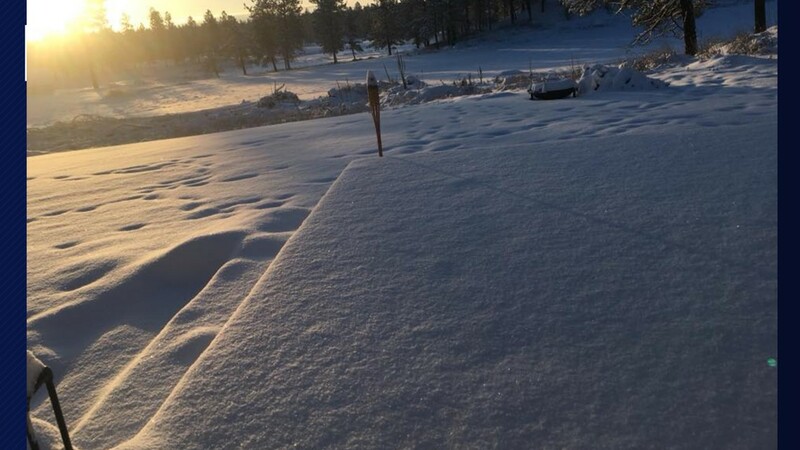 The Greater Spokane League decided to cancel postseason high school basketball contests due to the wintry weather and adverse driving conditions, deciding to postpone all games over the weekend. South central Washington's Mid-Columbia Conference also canceled games. 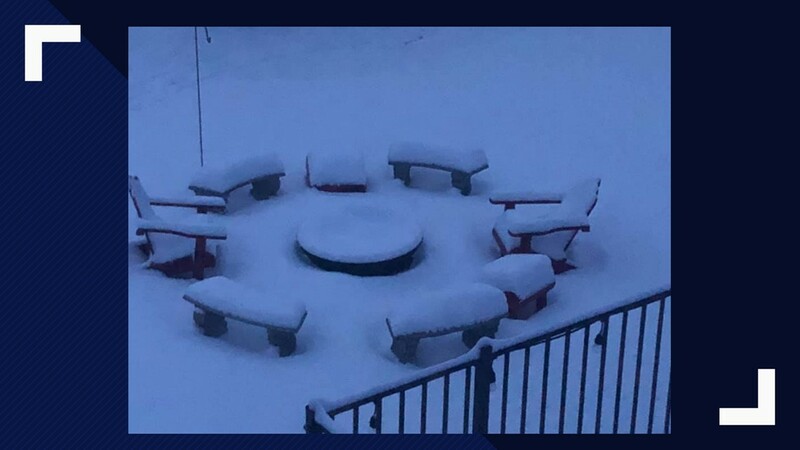 Spokane city leaders said they were not "running out to enforce" the city's controversial sit-lie ordinance, which was recently put back into effect and prohibits people from sitting or lying down on sidewalks downtown from 6 a.m. to midnight, amid the upcoming snow storms. 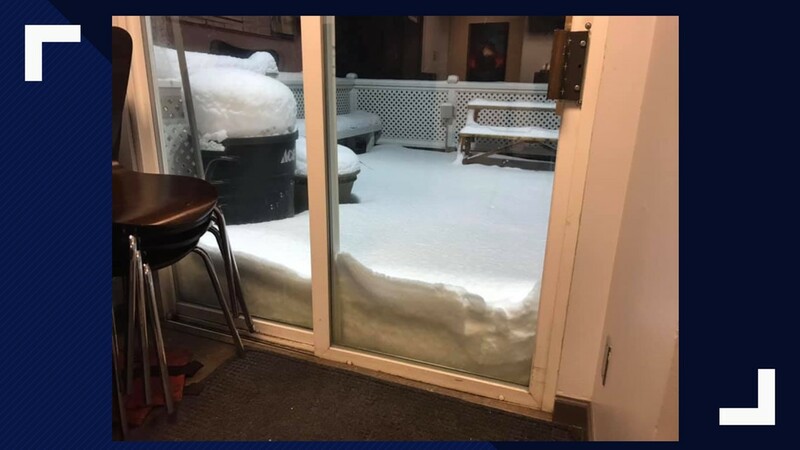 On the other side of the state, Seattle area stores saw a rush of people stocking up on food and other supplies as the Puget Sound region prepared for multiple inches of snow. 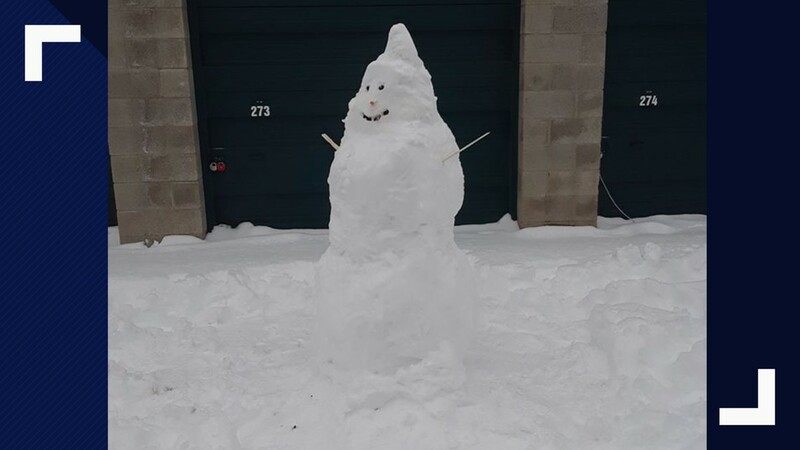 Friday's overnight snow made for slick conditions for commuters on Saturday morning. 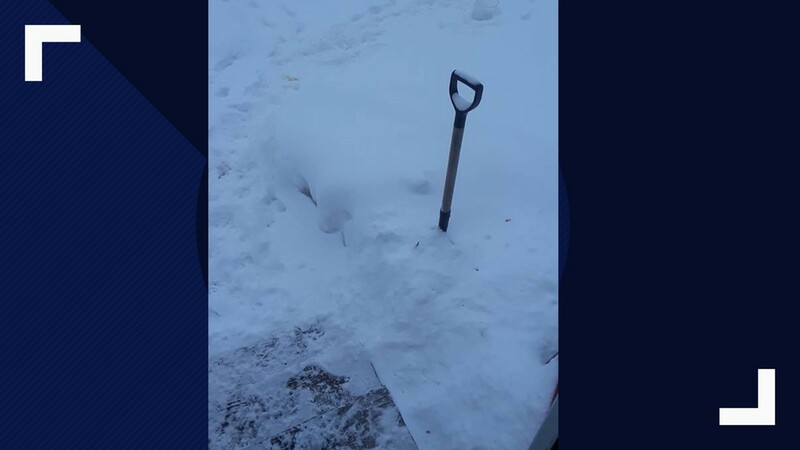 Much of the region was under a Winter Storm Advisory into Saturday night, as snow drifts and wind made conditions worsen. 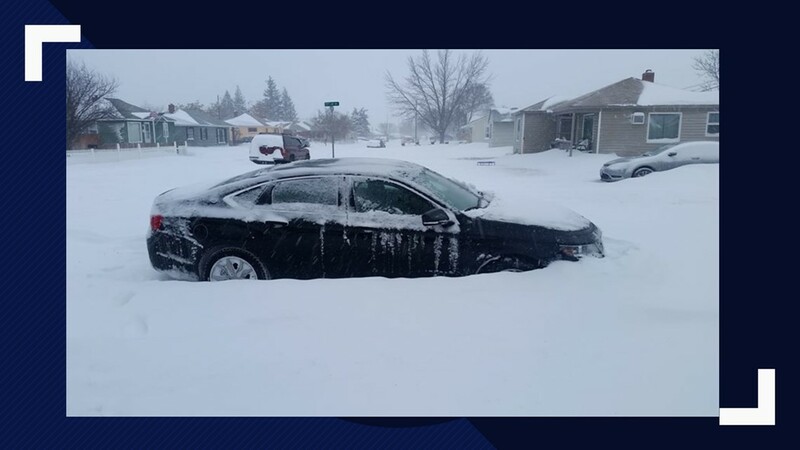 Multiple highways in the state were closed due to snow drifts and heavy amounts of blowing snow across roadways. The state patrol also sent out warnings asking drivers to not leave their cars in the snow or on roadways. 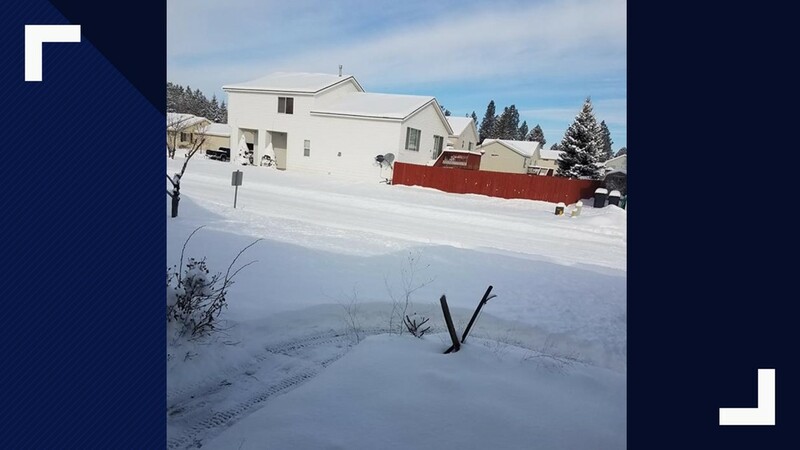 Winds on Saturday reached over 30 mph in the Spokane area, as snowdrifts formed as the first winter storm began to leave the region. 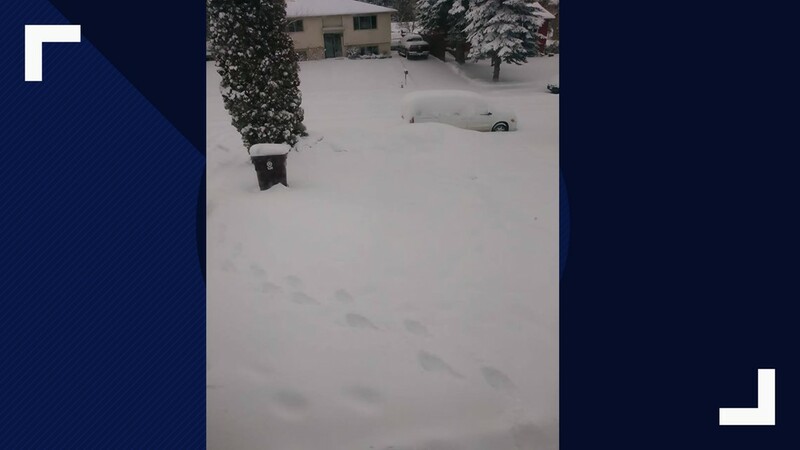 Bitterly cold wind chills and drifting snow will make travel across portions of eastern and central Washington dangerous as the winter storm subsides. 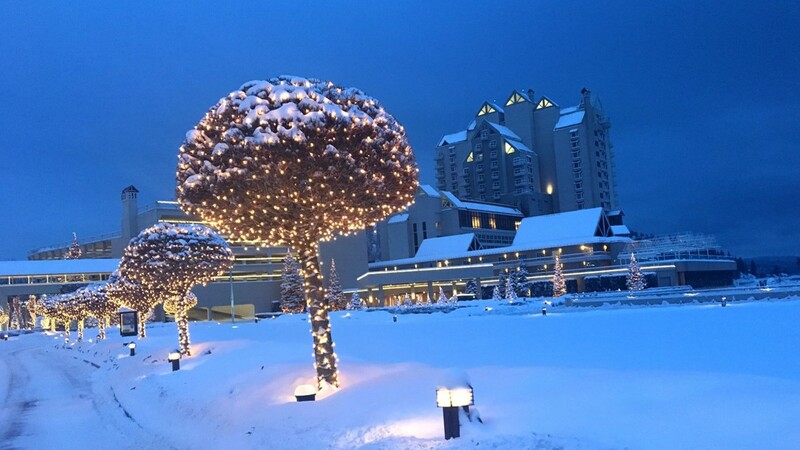 Winds and snow are expected to decrease Sunday. Another round of snow Monday night into Tuesday will also have the potential to hinder travel across the Inland Northwest. 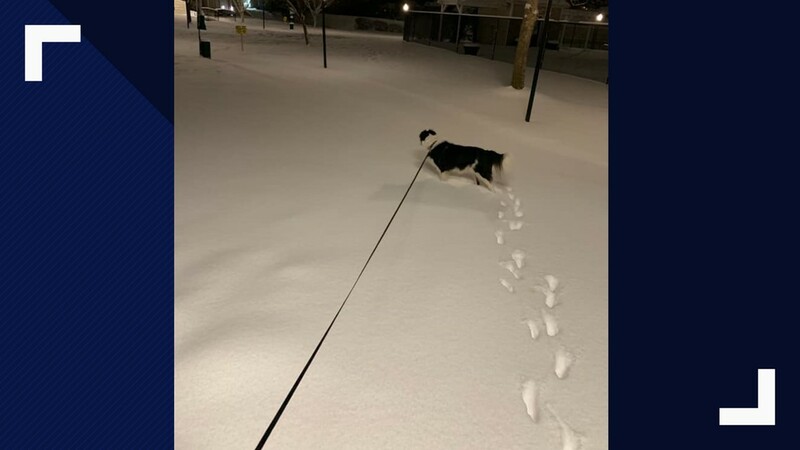 As evening came, KREM reporter Shayna Waltower went out in the KREM 2 Mobile Stormtracker to help track road conditions. 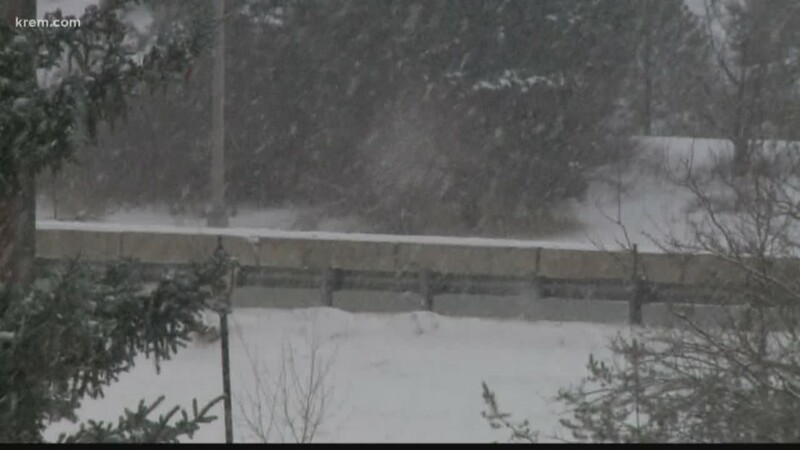 The Mobile Stormtracker went out again later to take a look at road conditions as snow continued to fall. 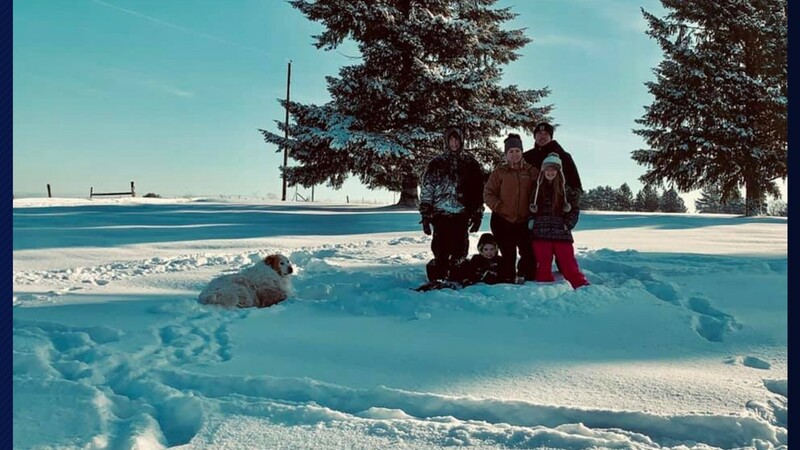 Patrick posted on Facebook again on Saturday with a Blizzard Warning that had been issued for various parts of central Washington, including Yakima, Moses Lake and Ellensburg. 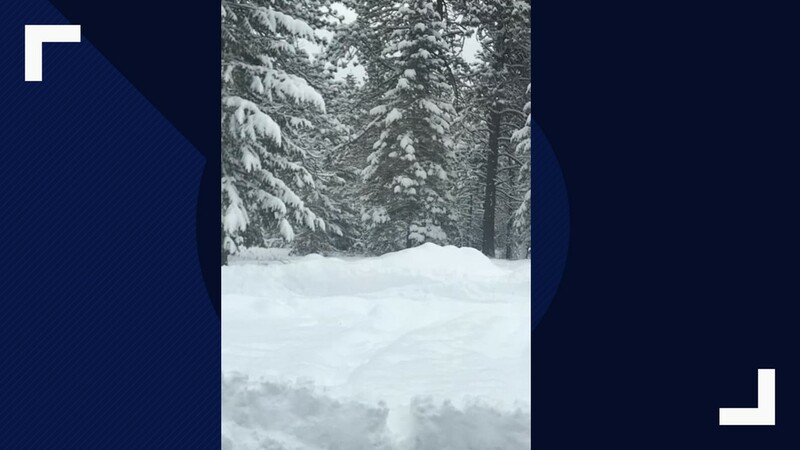 The Washington State Department of Transportation also closed portions of I-90 and I-84, which are major thoroughfares in Washington. 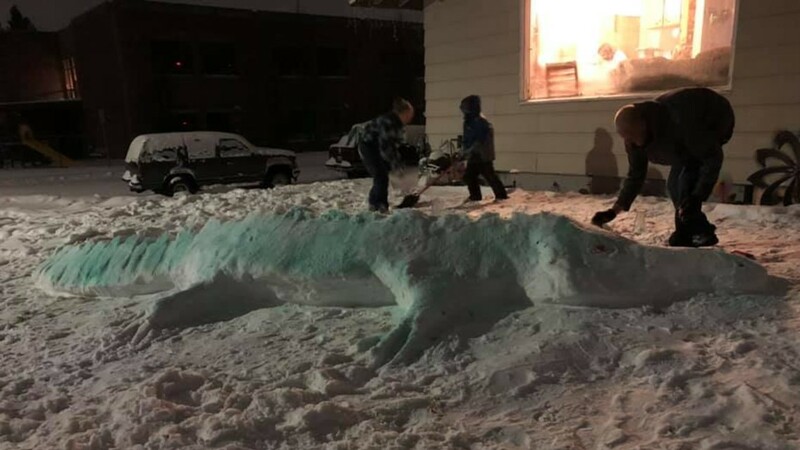 As Waltower took a look at how people on either side of the state handle wintry weather, we found a viewer who decided to put on their dinosaur costume as they used their snowblower. 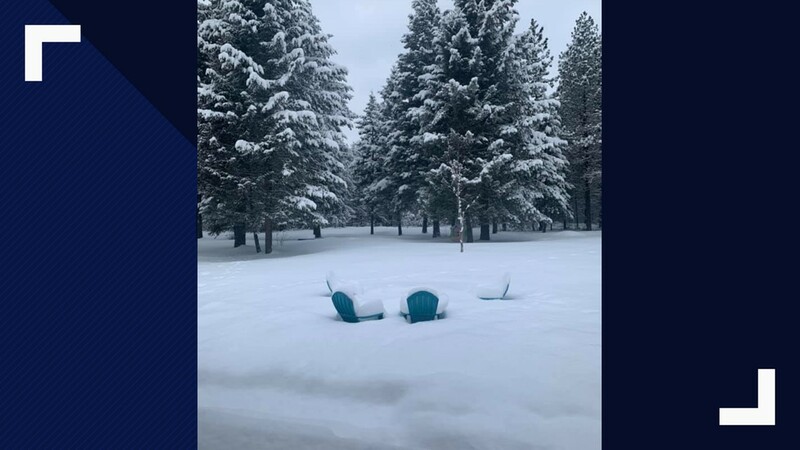 Those driving in the storm were not the only ones affected, as KREM producer Olivia Anderson reported on Saturday that several flights at Spokane International Airport had been canceled. Many of the flights were destined for Seattle and Portland, which both had seen their fair share of winter weather. 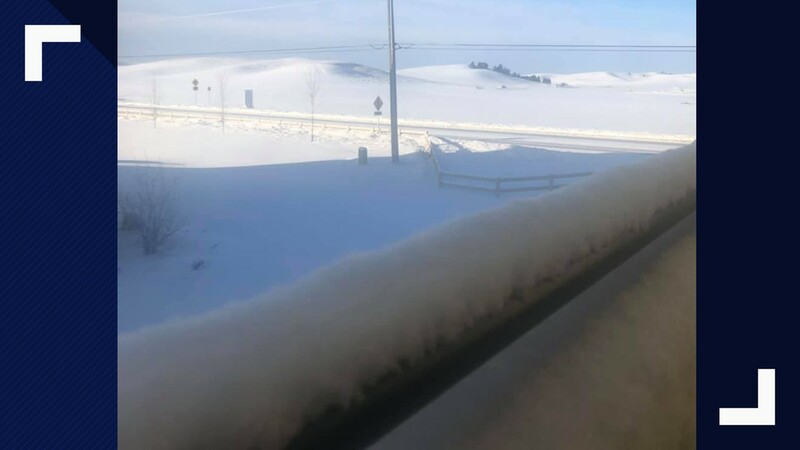 The start of Sunday saw many highways across the state continue to be closed as high winds had caused falling snow to form into drifts. 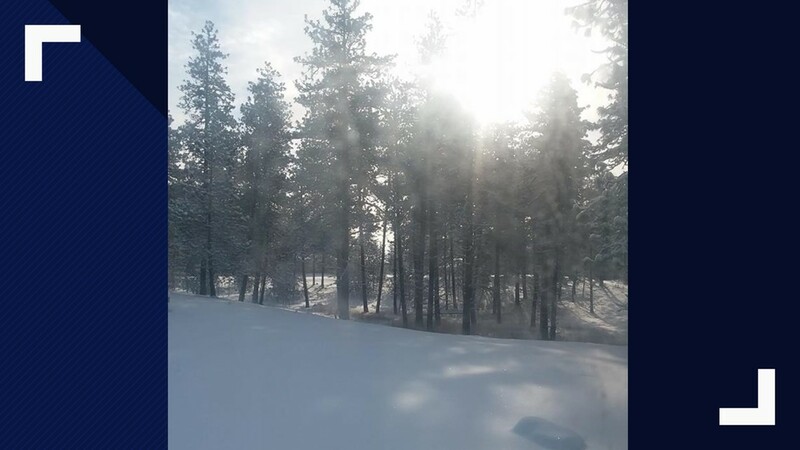 KREM digital investigative reporter Ian Smay noted that 35 miles of SR 24 were closed near Othello due to multiple collisions and a lack of visibility, while SR 27 between Tekoa and Waverly were closed because of snowdrift conditions. 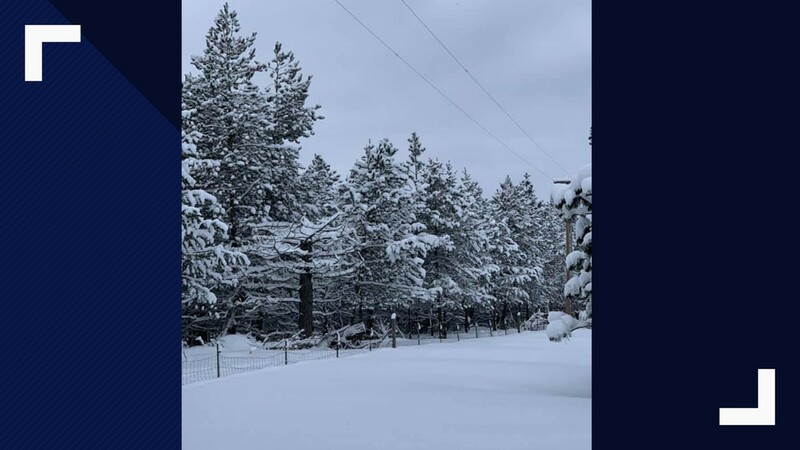 Further south, the Tri-Cities and Yakima areas had saw highway closures in the double-digits, including many of the routes in and out of the Tri-Cities. 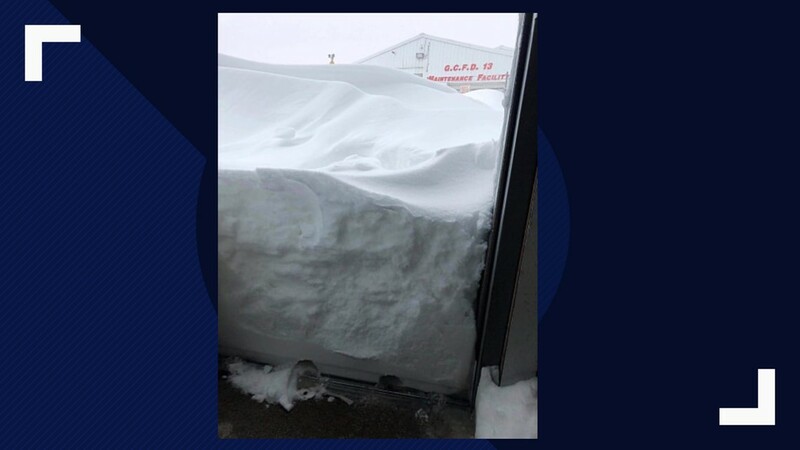 The Tri-Cities Airport also reopened after completely closing Saturday. Waltower spoke with a Spokane boy who had to climb out from under debris after a tree fell on his grandmother's house in the room he was sitting on Saturday amid heavy winds. Jude Andrews managed to free himself with only minor injuries from the debris caused by the falling tree. “I had to get all the boards off of my legs and my body, and I just jumped out of there,” Andrews said. Spokane International felt the affects of the storm again on Sunday, as multiple incoming and departing flights were delayed. 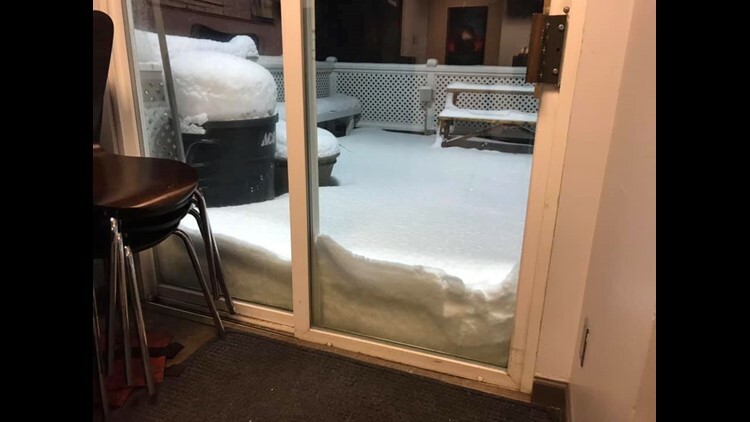 KREM reporter Amanda Roley snapped a photo of the the KREM 2 studio porch as the snow started to fall again Sunday night. A Washington State Patrol trooper was injured in a crash on I-90 East near Barker Rd. when a driver, suspected of being under the influence at the time, crashed into a patrol car Sunday night. The injuries were not life-threatening and the road was closed for a short time as crews cleaned up the debris from the wreck. The driver has been charged with driving under the influence and vehicular assault. 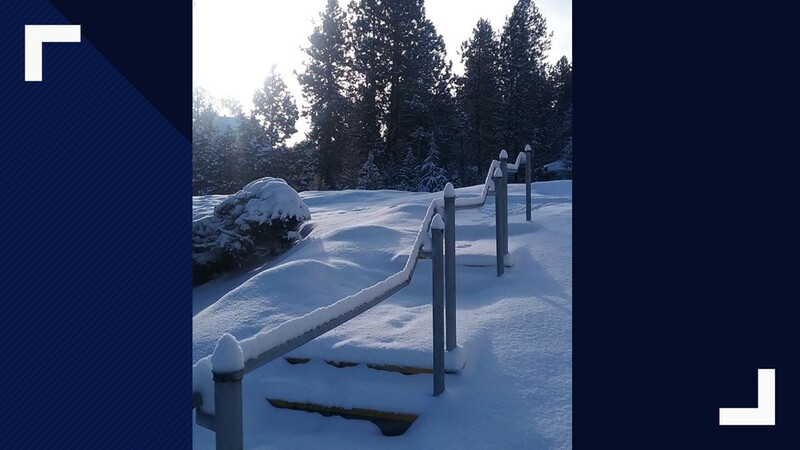 Residents in Spokane woke up to five inches of new snow on Monday morning. 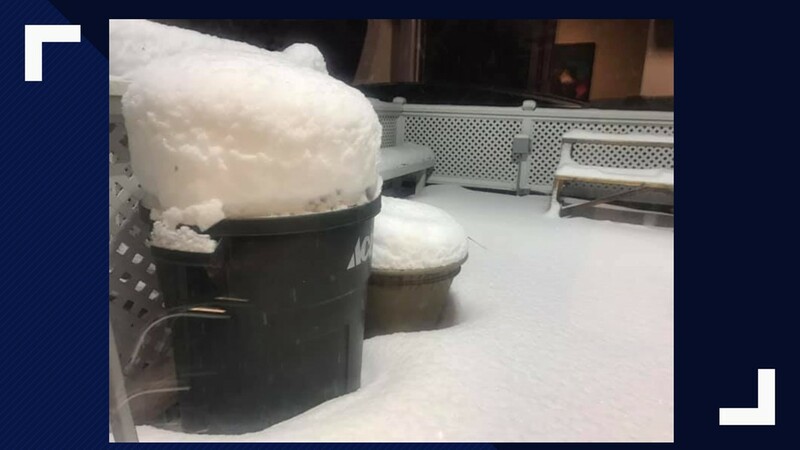 KREM morning weather anchor Evan Noorani saying the total snow accumulation in Spokane was 13 inches as of Monday morning. 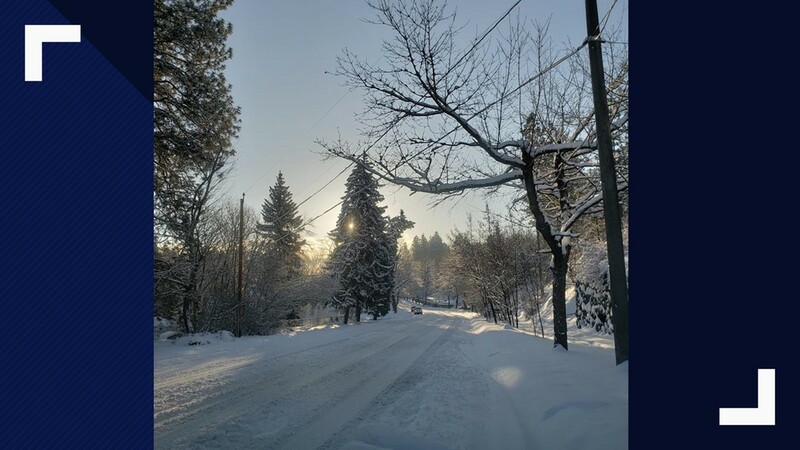 The area saw a break in snowfall Monday afternoon, as City of Spokane crews worked to begin plowing streets and roads. 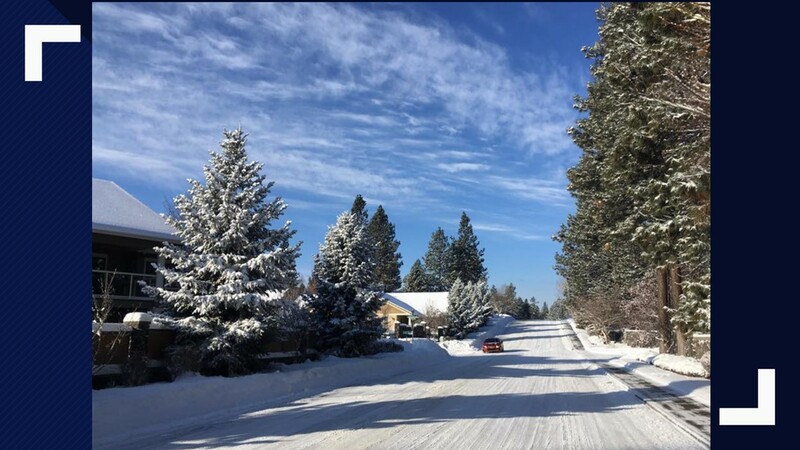 However, the break may prove to be brief, as Noorani said in his forecast Monday that Spokane could see six to eight inches of new snow starting Monday evening into Tuesday afternoon. 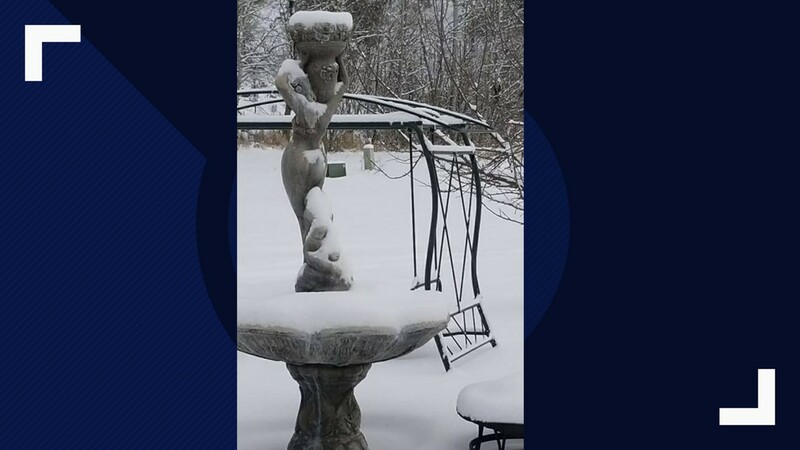 There were a total of 88 school delays and closures in the area Monday, with most of those being closures. 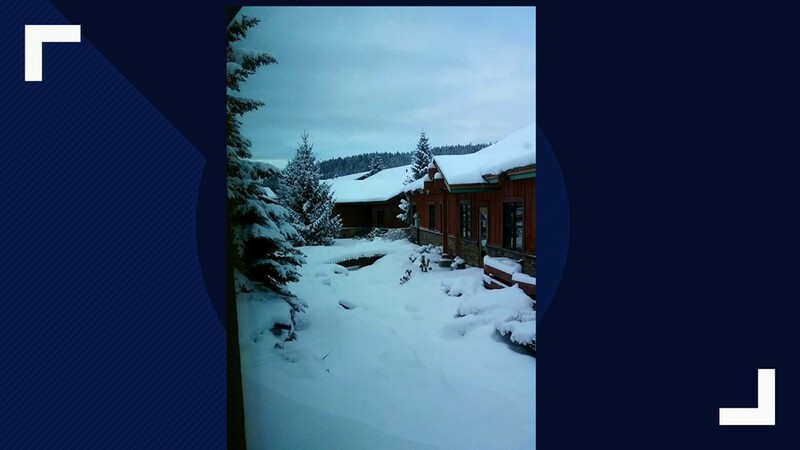 Two notable exceptions were Coeur d'Alene School District, which did not delay or close school, and Spokane Public Schools, which only had a two-hour delay. 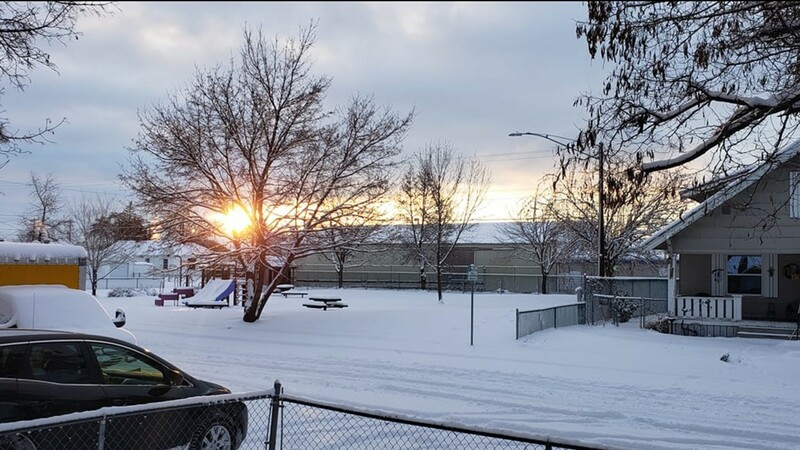 The decision to not cancel classes at SPS for the day led to some concerned parents of students contacting KREM asking for the decision-making process behind delaying or closing schools. 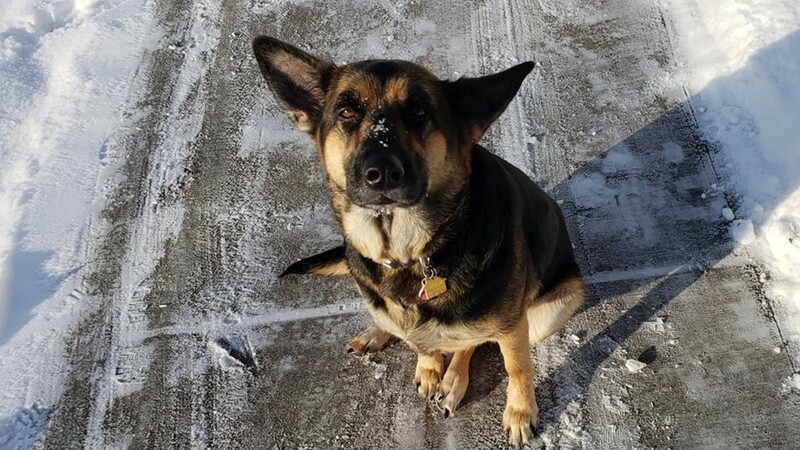 Roley and KREM senior digital producer Kaitlin Riordan found that district leaders form a "weather alert team," which includes both the leaders and officials with Durham Bus Service. Supervisors with Durham Bus Service drive routes on both north and south sides of town at 3 a.m. to form recommendations for the SPS associated superintendent and director of transportation. At 5 a.m., the SPS superintendent and community relations director are brought into the loop and make a decision by 6 a.m., at which point parents are notified. 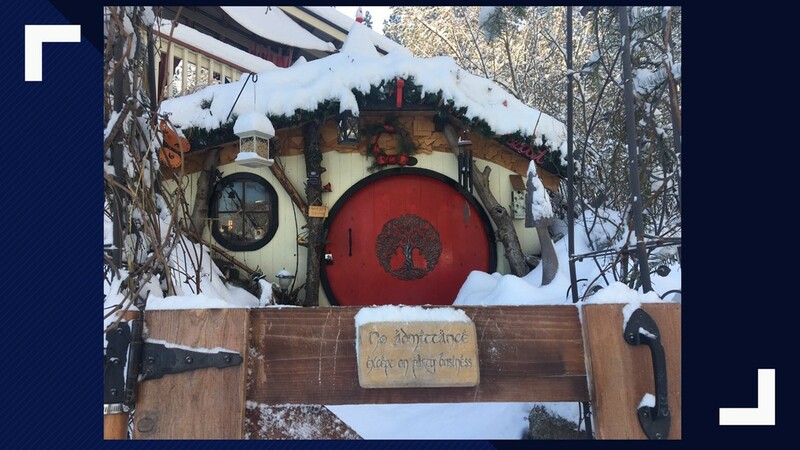 For more information on this process, visit the SPS website.